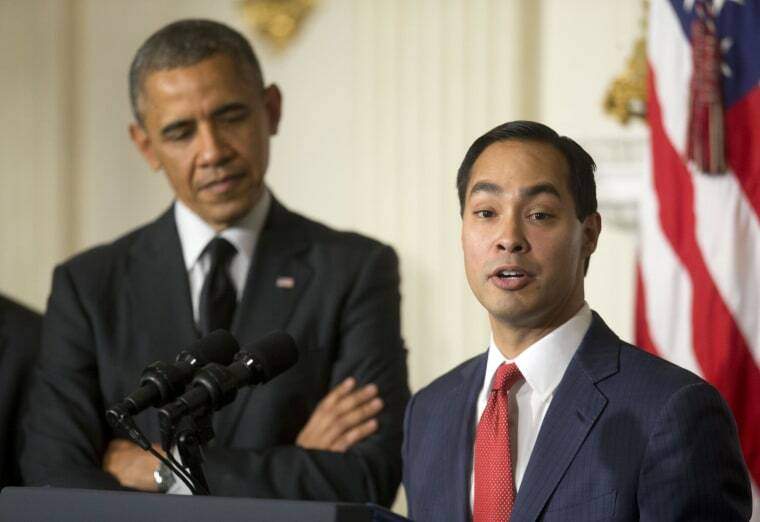 WASHINGTON, DC -- San Antonio Mayor Julián Castro took another step up the political ladder Friday as he was nominated by President Barack Obama’s to be his next housing secretary. At a packed White House conference, Obama said Castro has revitalized San Antonio, attracting hundreds of millions of dollars in investments. "Julián cares deeply about the people he serves - he's never forgotten where he came from," said the President. "Julián ha vivido el sueño americano," ("Julián has lived the American dream"), added Obama. Following the President's statement, Castro said, "I am here alone at the podium but I stand at the shoulders of so many folks," saying he felt "blessed" to have reached the American dream. "Just because you are of modest means does not mean your aspirations or opportunities should be limited," said the San Antonio Mayor. Castro would head an agency with a $49 billion budget that was created in the administration of another Texan, former President Lyndon B. Johnson in 1965 as part of his Great Society agenda. He would succeed Shaun Donovan who was nominated to head the Office of Management and Budget.